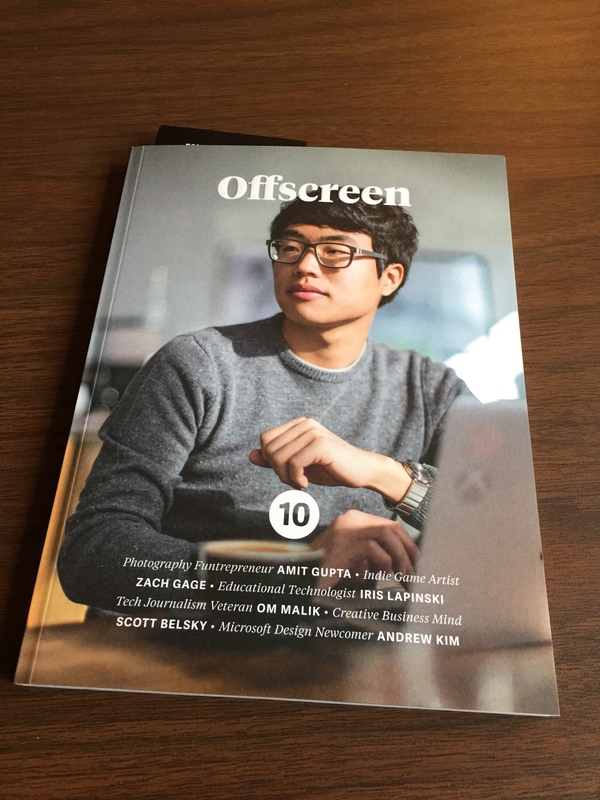 Originally a web designer by trade, Kai Brach launched the first issue of Offscreen in early 2012. Feeling disconnected by the fast pace and the ephemeral nature of digital, after ten years of freelance work Kai wanted to create something more tangible. With Offscreen Magazine, he combines both his love for technology and the web, and the unique experience of printed magazines. In the span of three months, Kai “converted” from a UI designer to an editorial art director, not only publishing and editing Offscreen but also designing the magazine from the ground up. As such, Offscreen is still a one-man operation, and a proudly authentic indie magazine supported by amazing contributors and curious readers. Kai hopes to reinvigorate printed magazines as a choice of media that provides a welcome break from our always-on society. And it’s beautifully made and a pleasure to hold. Quality paper, crisp print. The size is just right, too. Clearly, a lot of thought and care has gone into making this magazine. Those of us who share on the internet are regularly reminded how fleeting our creations are. Of course, there’s poetry in the impermanence. Online creations are like a mandala, a Buddhist sand painting that’s intentionally scattered after being painstakingly created as a reminder of the impermanence of all things. But there’s a grace in great things, things you can hold and tuck under your arm and put on your shelf to enjoy again and again. A thoughtfully crafted thing has a beauty that endures and offers a distinctive pleasure that a flickering screen cannot adequately match. What will my web site, for example, have to offer of value to anyone ten or twenty years from now? I suppose I could still be adding to it regularly. I envision making this as long-term a repository of my writing as is possible. And the intrinsic value of notching new posts every day has meaning for me whether anyone else reads or not. But the web is like a river. You never surf the same web twice. It’s constantly changing. On the internet, everything flows and nothing abides for long. Such is life, of course. Enjoying this magazine has sparked a bit of curiosity about making more permanent things. I don’t know if “Excellent Journey: The Book” is in my future, but it’s worthwhile to consider what I might create in a more fixed form. 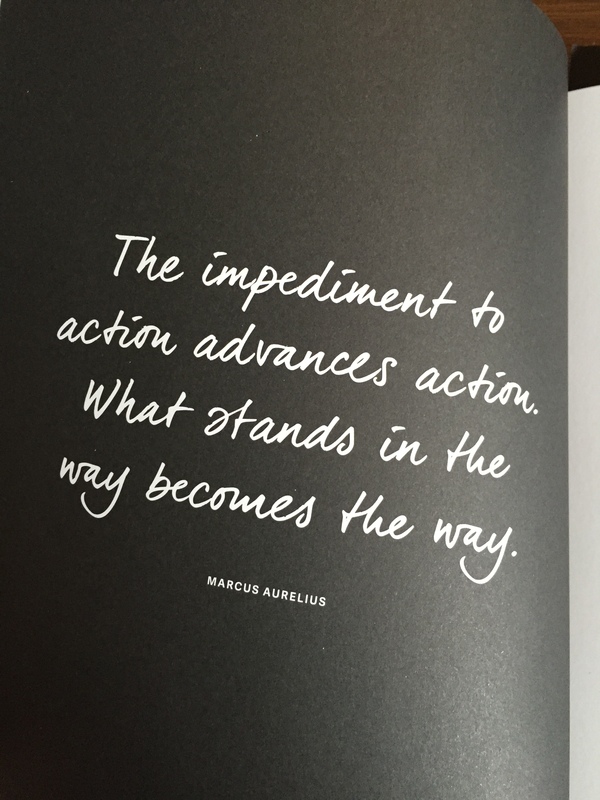 Seth Godin’s recent book along with this magazine are great examples reminding me of the value of the touchable and the beauty of old-fashioned words on paper. The printed word will, I venture, have a much more enduring presence than, say, vinyl records, which seem more of a novelty for a narrow niche of aficionados. No technology is required to use a book. But, I think people eventually will treat paper books more like souvenirs of ideas and memories. Electronic reading will be fine for most occasions. Real books, though, will become more special, for selected experiences and more valued ideas, for gifts that endure, that touch and can be touched.